When done well we know a brand activation can be effective. See our blog on this here. Our range of products are designed to help you get the most from your next brand activation. 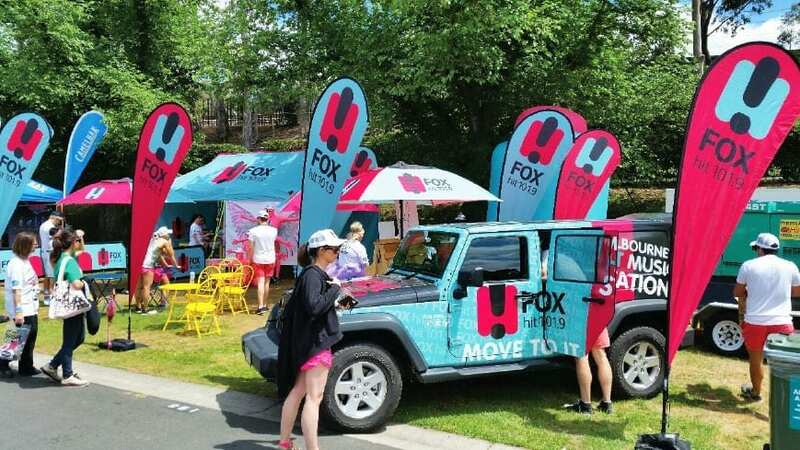 See how we helped the HIT Network with their national brand activation here. 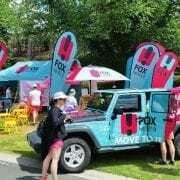 Below are some examples of our products in action at activation events. Our branded deck chairs are a popular choice for activation events. They are very portable and robust and can be branded front and back. We have various styles and sizes to suit most occasions. A market umbrella with full digital printing provides a large branding area and as demonstrated by the photos above is hard to ignore. We have standard inflatables (as above with the inflatable goal) or we can custom make an inflatable. These allow visitor interaction at the brand activation and provide a large branding area that is very portable.